Rodney Yee Yoga Burn DVD Giveaway WINNER! Thank you SO much to everyone who entered the Rodney Yee Yoga Burn giveaway! I have several more videos to review and giveaway, and the next one will begin THIS weekend, so stay tuned! I drew the winner through www.random.org. The winner has been contacted. Congratulations, Andrea, you should get your package from Collage Video soon! Thanks again for everyone’s participation! Review and GIVEAWAY – Rodney Yee "Yoga Burn"
So I should start by saying, this wasn’t my first yoga experience. But it was definitely unlike any other yoga class or DVD I’ve done. First of all, Rodney Yee is possibly the best Yogi I’m aware of. At first, I wasn’t too sure about him because, well, he wears very little clothes. But after a few minutes I realized that was very helpful. I’m not sure if it was his intention or not, but with him actually wearing very little, you can see exactly what the alignment of each move should be. It’s much easier to know what you’re supposed to be doing when you can see so much of him. The camera work was fabulous. There was never a time when they cut away at an inopportune moment. I was pleased they used close ups when needed and pulled back for full-body views often. The set was pleasant-looking and not distracting. Of course the music was typical to that of the ‘good’ yoga music in my opinion. The only downfall that I found with the video was that it was entirely voice-overed. It just seems a little disconnected in that regard. 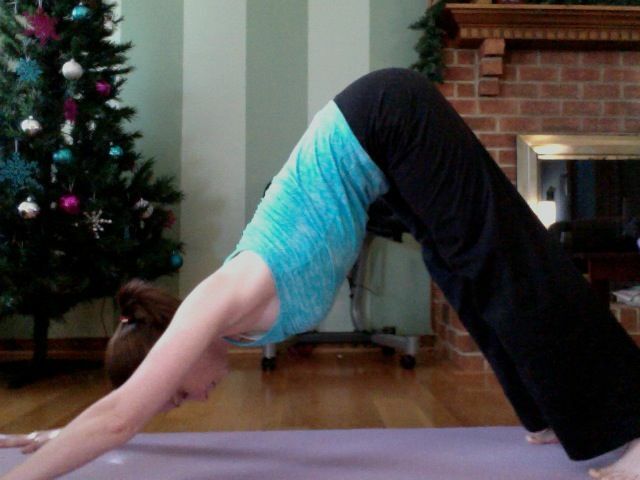 This video is called “yoga burn” because you’re constantly moving and working. That is how it’s different from most yoga practice. I knew within 10 minutes that I was going to be working up a sweat. And I did, and it was refreshing. Rodney stays true to yoga though, and doesn’t slip into some weird hybrid to make you work harder and you end up forgetting you’re supposed to be doing yoga. 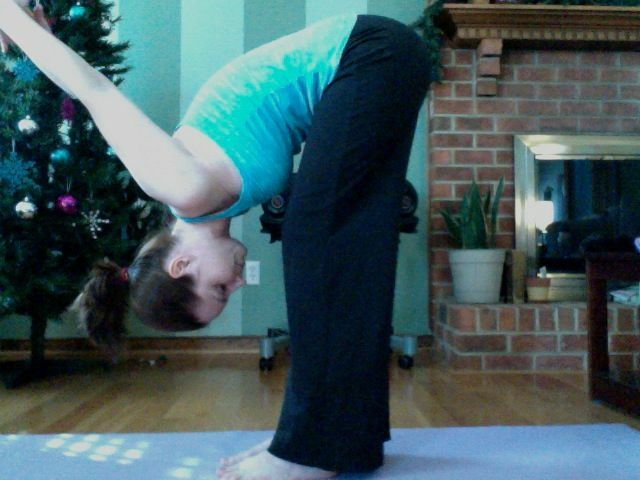 Yoga for me is usually slightly difficult, relaxing and definitely increases my stamina and flexibility. This workout was different in that I could feel muscles working much harder and quicker. 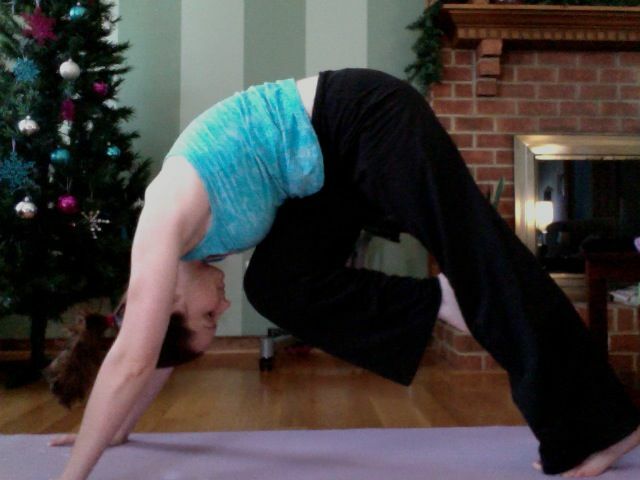 I did not get bored at all and found the movements much more ‘fun’ than usual yoga practices. While I was constantly moving, it was not rushed, and I was still able to be very mindful of my movements and my breath. This would be a fabulous workout for people who want to have a faster paced yoga workout and also want to feel challenged and engaged. The video was 60 minutes long, which was the perfect amount of time. For more traditional yoga practices, I’d go longer, but since this was more challenging, I was definitely ready for the cool down when it came. I felt very strong and relaxed at the end and it made me realize I really need to work more of this type of workout into my schedule. I typically stick to strength training and a little cardio, but I’m committing now to work this workout in at least once per week…for myself. It’s like dessert! 🙂 So, yes, I would recommend this to a friend. But not a beginner. If you think you’d like to try this video, please enter the Giveaway. Collage Video has graciously agreed to sponsor the giveaway, and for that, I thank them immensely. You must complete at least the mandatory entry, listed below. Additional entires are available as outlined below. Enter by JANUARY 20. No more entries after 11:59 pm on 1/20/12 will be counted. Winner will be drawn and notified on JANUARY 21. All right, good luck everyone!